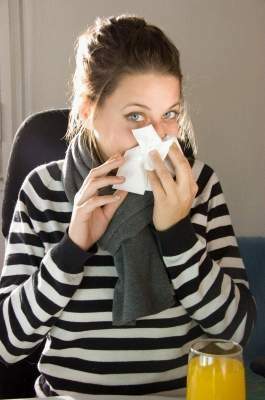 Twenty per cent of adults visited their doctor with a recent respiratory tract infection such as a cough, cold, flu or sore throat and half expected to be prescribed antibiotics for their illness, according to research last year that was commissioned by the Health Protection Agency, and people still are expecting them even in 2012 as they visit their doctor. Last year over 1,700 people in England were interviewed about their attitudes towards antibiotics. Over half of those who contacted a doctor or nurse (53 per cent) went expecting antibiotic treatment and 25 per cent of those who responded said they believed that antibiotics work on most coughs and colds. However 70 per cent of people interviewed recognised that antibiotic resistance is a problem in British hospitals and a similar number acknowledged that resistance to antibiotics could affect them and their family. Dr Cliodna McNulty, the HPA’s head of primary care said: "Most coughs, colds and flu are caused by viruses and these do not respond to treatment using antibiotics. Some people, particularly those with underlying health conditions, may suffer with complications as a result of these illnesses and should seek medical attention but the majority of people can treat themselves at home using over the counter medicines to relieve symptoms. "Although the public recognises resistance as a problem, our findings show that people expect, and are often prescribed, antibiotics for mild illnesses such as coughs, colds and sore throats as well as for flu, which can be more severe, but is still a viral illness. "Health professionals need to learn to resist demands from patients for treatments they know have little or no effect on coughs and colds. Our research showed that 97 per cent of those questioned said that the last time they asked their GP or nurse for an antibiotic they were prescribed one. "Our research also found that one in 10 people admitted to keeping leftover antibiotics. This is not good practice and health professionals need to stress to patients that self treatment with leftover antibiotics is not only unsafe but can lead to the emergence of resistance." To help increase public understanding of when antibiotics are beneficial in respiratory tract infections, and when members of the public need to visit their GP with these illnesses, the HPA has devised a list of ‘top ten tips’ about what patients should be aware of when they are suffering with cold and flu symptoms and think they need antibiotics. 1 Most coughs and colds will get better on their own without antibiotics, and antibiotics will not hasten your recovery. 2 Discuss the pros and cons of antibiotics with your doctor – they will be able to assess whether you need them. 3 Coughing up phlegm on its own is not a reason to need an antibiotic – even if it is yellow. 4 When you have a sore throat with a runny nose with phlegm it suggests that the infection is less likely to respond to antibiotics. 5 If you have a high temperature, with a really red or purulent (the presence of pus) throat and feel really ill this may be an indication for antibiotics. 6 HPA research shows that some people stop their course of antibiotics early which might indicate that they didn’t need them in the first place. 7 Always take all the doses each day and finish the course – this is typically only five days. Otherwise you encourage the emergence of resistant strains. 8 Never keep any leftover antibiotics in the cupboard for later use, an antibiotic prescribed for one infection may not be appropriate for the next. 9 If you had an antibiotic last time you had a respiratory tract infection, this time ask your doctor about a delayed antibiotic prescription which you take only if your symptoms get worse or do not get better within the expected time for that illness - that way you will not be taking antibiotics unnecessarily but if you do need them you can get them later. 10 Remember, antibiotics in certain situations can be life-savers – so if you or your child are very ill – do visit your doctor for advice. Dr McNulty continued: "Although most bacterial infections are still susceptible to antibiotics there are a number of bacteria which are developing resistance to the antibiotics that we have available. By being aware of when antibiotics are needed or not we can foster a better attitude towards them and save these precious resources. "Despite many years of public health campaigns advising people that antibiotics don’t work against coughs, colds and flu our research results show that these myths prevail. We understand people feel very unwell with coughs, sore throats, flu and colds but for the majority of people these symptoms are unpleasant but short lived. Preserving the continued efficacy of our precious antibiotics has to be a priority." Information on antibiotics can also be found on the NHS Choices site.